Although a break in tropic paradise is the perfect opportunity to unwind - fitness fanatics who love to exercise during a holiday will be delighted to discover that there are lots of physical activities to take part in. From the Maldivian warrior workout to traditional Pilates and beach boot camp classes, there's something for all. Beach Zumba and kickboxing is available to guests and the impressive squash and tennis courts are not to be missed. One of the most incredible excursions we took part in was the trip to Masleggihura - a nearby deserted island. Take a trip by speedboat which takes all of 10 minutes to arrive - and you will have full reign of the island to explore - no one else is there but you and your own personal chef - who prepares a traditional grill lunch while you enjoy your surroundings. Missing the cinema? Kanuhura hosts movie nights where you can watch Hollywood classics under the stars - all on the comfort of a bean bag with a cocktails on hand. Pure bliss at its finest. If you want to see what's beneath the stunning opal waters - a scuba diving experience is just what you need. Whether you have already had experience with diving or are an absolute beginner, there are courses for all - from three hour segments to supervised sessions with instructors. Make sure you take your underwater camera! A holiday is the perfect excuse to take time out and have some 'me time'. A trip to the Kokaa Spa is a real treat not to be missed. 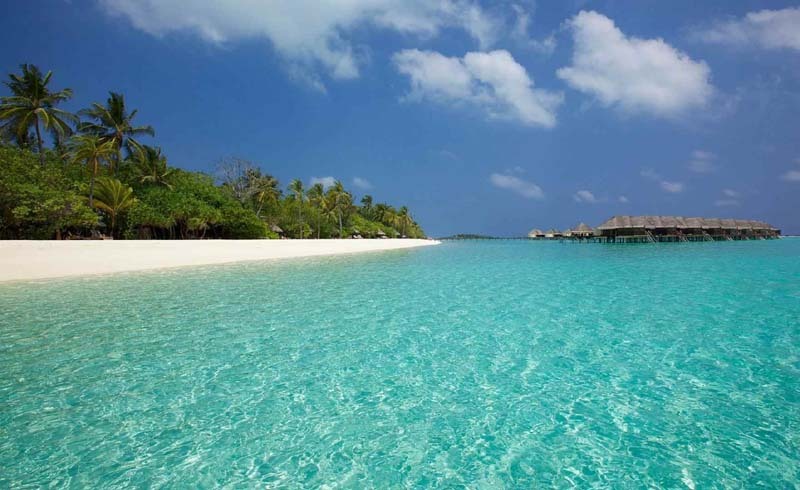 The airy and spacious spa has one of the largest choices of treatments in the whole of the Maldives. After a personal consultation - we tried the Maldivian Theyo Dhemun massage which was an hour of blissful solitude. The polite and professional therapist delivered a superb medium-pressure massage which is ideal to get to grips with muscular tension from the stresses of daily work. After a treatment, enjoy the luxury spa facilities - a sauna, steam and jacuzzi plunge pool. The water temperature compliments the joints and a fluffy robe and slippers are just what you need to feel comfortable. The best way to get around the island is to hop on a bike! With each booking, you get a bike to call your own for the duration of your stay, and it's a great way to see all the picturesque views. There are also buggies available if you have luggage to carry. There are five restaurants to choose from that you can dine at during your stay, and they're all of an incredibly high standard. We Loved A Mano - a luxury all-day service which has an enormous array of delicacies. Breakfast is not to be missed - with tables that sit right on the beach, you can sample anything from chocolate croissants to exotic sushi. The place that is a huge hit on Instagram is the Iru Beach Bar. Watch the sunset from the beaded swings as you sip on a cocktail. There's even airy tee-pees that you can take refuge in if you want a break from the sun. If you just want to stay in your room and enjoy spending time with your partner, this is the place to do it. 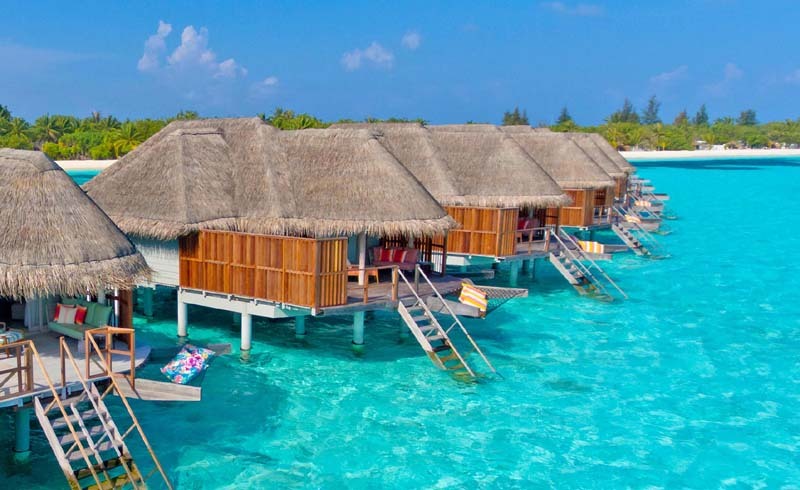 From Beach Bungalows to Water Villas, there are 11 types of property to choose from.